Hello folks, it's good to be back! As I promised some time ago, here an additional post is being created. Since the first 'Relatives and Ancestors' post became so graphic intensive, I decided any continuation along these lines require, at the least, another post. This is called the 2nd Chapter and is a work in progress as it is not finished. The plan is to flesh out more of my family's history. There will be much more to add of offshoots on this old family tree. I expect a third chapter before this is done centering mostly on the Bowser side of our paternal grandmother's family and the Porch/Smith side of my maternal grandmother's family. For the sake of length, it might be best to only include the most pertinent info and leave more minor technicalities aside, like attempts, or lack thereof in acquiring copies of all deeds and patents and documents like birth certificates and so on. For the present, I would deem this unnecessary, though it could magically show up here later! I often find myself wondering what they were actually like. Their various personalities, trials and tribulations, achievements and basic timeline. Much of this valuable knowledge s simply lost to the winding lanes of time. Personally, I do find it fascinating and sometimes frustrating work. Wiping away the aged dust from notes and photo albums, (well not that much dust, mostly neglect), and scanning, cropping and printing information, these people, many long gone to their reward, are slowly and lovingly brought back to the light of day. Much will probably remain speculation, and little else. While, in key areas as I am becoming that much more familiar with such a large bulk of material, the picture gets that much clearer. Oh, that there were Facebook pages back then! I do eventually plan the inclusion of much more information about my mother's side of the family and will disclose what I can. 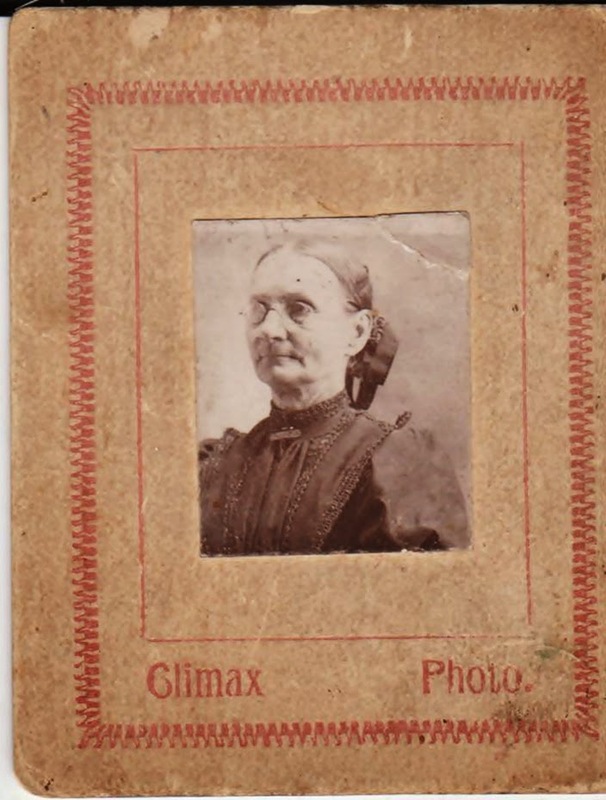 There are lots of photos to sort through for the Hoovers, Smiths, Porch's, etc. Of these relatives there are areas with scant information so far accumulated, so this will be covered as well as possible under the circumstances. At this time I am seriously thinking about beginning a NEW BLOG on this subject! That way better information and research with many photos can be included and all in their proper placement. The Porch's and Smiths lived at many places and locations. Three of these are Marguerite, Lycippus and Mount Pleasant. I originally thought these ancestors closer connected with Somerset County, as the Hoovers were. I will soon continue on to my paternal grandmother's side, (Hazel Bowser Wilson), with some material on the Bowsers and Flicks. Sadly, I haven't located much on the Flicks or of photos, as of this writing. There will be more on my maternal grandmother's family in the future. Gaining up some ground now, I am delving into the background of John Miner, (Jr.), James Martin Wilson and others like my great, great grandfather Amzi Miner and his father, George Hatfield and a great, great uncle, George Washington Hatfield. Curiously, I possess few photos on my side of the family. A fair amount of research is involved just in trying to properly separate their identities, let alone gaining some meager insight into their lives. Historically and traditionally, all of them lived in Bullskin Township much of their lives. They haven't yet been traced much further back beyond rumor and conjecture. Helping make this task easier meaningful information was provided by a work in the public domain and an invaluable source, "The History Of Fayette County, Pennsylvania with biographical sketches of its pioneers and prominent men", written by Frankin Ellis in 1882. He also wrote many other books on the biographical history of important areas in many states. For example, two volumes on the Susquehanna and Juniata Valley region. I can't help but feel a small swell of pride and intrigue to see some of my own ancestors listed and discussed in there. Before beginning this website, my family, what is left of them, were not all that knowledgeable of the true depth of their story. This was more of a surprise than I would of expected! With some question as to the exact relationship, the Adam Hatfield from Bullskin might be a son to Adam Hatfield, (Sr.), traditionally an ancestor of our family and others. He may, or may not be a son of William Hatfield who was born in 1736, although this would appear unlikely and much of this information is derived from the book "Genealogical and Personal History of Fayette and Greene Counties Vol. 3" There are extraneous reasons this is so. His supposed patriarchal relation to Matthias Hatfield is with hazy and disjointed connections to the Hatfields of West Virginia, but what I've found so far is very convoluted and unsatisfactory. An Adam Hatfield, with an 1812 War marker, is listed in Find A Grave born Oct. 8, 1780. died Jan. 8, 1846 and buried in Montgomery County, in Trappe, at the Augustus Lutheran Church Cemetery. His wife was Elizabeth Hatfield, 1783-1860; one son interestingly, is named George Washington Hatfield, birth unknown, death 1811, and possibly a great uncle or relative to my ancestry. Any material available from readers would be appreciated, as I haven't had the time to do a detailed study of it all. Until it is more deeply checked out, there is the relation that George "was a wagon maker in Bullskin township, on the old Miner place". On somewhat firmer ground, the Adam Hatfield my family would be most concerned with was assuredly in Bullskin Township as early as 1767 cutting tress, clearing bushes and building a cabin,with a warranty for 338 acres at what became the Laurelville region, near the Westmoreland County line, back when this was Bedford County. In 'Reports of cases adjudged by the Supreme Court Of Pennsylvania, Vol. 1', he was listed for three trials to determine whether he endeavored to procure surveys on this tract and mentioned is made that were postponed, with legal title for an ejectment of the lands against him, later acquired by Ralph Cherry and Jacob Lobingier from page 521. This went to trial in Jan. 1772, and Oct. 1778. The main point is the judgment of the June Assizes of 1790 in which it went in the favor of the plaintiff. As far as the legal squabblings, I'm not sure if that would be himself, but again, I wouldn't guarantee anything for certain without more research. This concerns finding the precious time to learn what else is still to be found. The location that later became the hamlet of Laurelville was later contested too. This situation involved Robert Thompson and, I am under the impression, also Jacob Lobingier which went on until the death of Thompson. On Oct. 7, 1769 Hatfield entered an application "about 2 miles above Braddock Road, where it crosses Jacob's Creek, on both sides of the said creek. In the month of April, or May, 1769, he raised a cabin on the land, and lived in it with his brother. In the fall of the same year, he applied to William Thompson, esquire, deputy surveyor of the district, to survey his lands, but he evaded it for the present;"
From 'The History of Fayette County, Pennsylvania', by Franklin Ellis on page 493, Adam Hatfield, who, along with others, including one Providence Mounts, (who was so instrumental in developing the Turkey Foot Road route in Fayette County), were the earliest settlers and the Surveyors of Roads for a road from Cherry's Mills to Uniontown, and were successful surveyors and business men from 1784. Providence Mounts was also involved directly in Zachariah Connell's petition of a road ' from Uniontown to Jone's Road, on the Laurel Hill, between Cherry's and Jone's mills'...next we have 'the road from Jacob Thorpe's to the road from Lobingier's Mill to Connellsville was ordered in December of 1804 with Peter Newmeyer, John Rice, John Latta, William Robertson, Joseph Kithcart, (of the TFR mill area in Woodale), and John Miner, as viewers.' More on the Miners soon. These ancestors, Adam Hatfield Sr., John Miner, Sr. and Jr. and possibly even men like Adam Flick, may of been involved in the clearing of a main part of the Turkey Foot Road in northeastern Fayette County, which should become more clear as more information is added.The lack of definitive evidence is important in cautioning that this is circumstantial and remains speculative. I know of no photos of Adam Hatfield or John Miner. Lastly, I have seen a reference to a captain Adam Hatfield, but Adam Hatfield is listed as a private on pg. 82 of "The Pennsylvania Archives" in a militia company commanded by Captain David Clark. 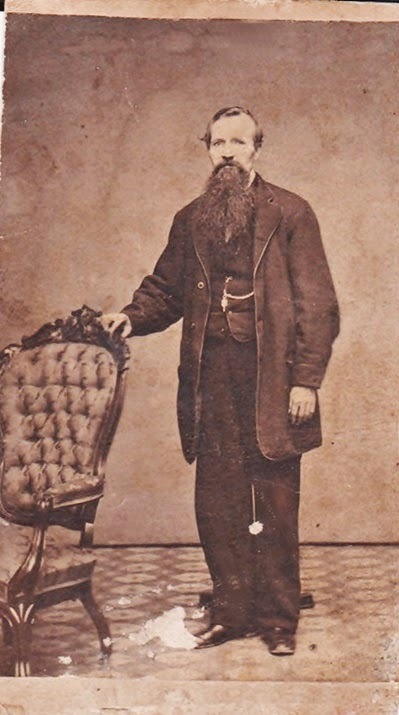 George Hatfield Sr. is claimed to be the son of Adam Hatfield and his wife was of McShane ancestry. This on pg. 628 and according to scholarly Uniontown resident, James Hadden and John Woolf Jordan, in "Genealogical and Personal History of Fayette County Pennsylvania. Vol. 3, Lewis Historical Publishing Company, 1912, "He was a wagonmaker in Bullskin township, on the old Miner place." As can be observed, this information correlates with other research that a George Hatfield married Mariah Miner, daughter of John Miner. From these two there are many offshoots on the family tree that I am only now gathering deeper research of. "The log building in which he did his work is still standing. 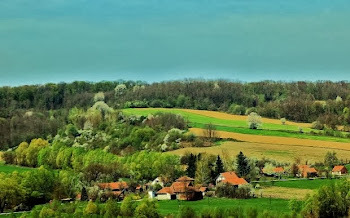 While engaged at his trade he bought a farm of one hundred eighty acres near his shop, on which his son John now lives. In his latter days he lived on this farm, and he owned final over two hundred acres of land." This would of surely included a good deal of the acreage for his saw mill and the Brick Works he was a stockholder in. To continue, " He was a member of the Improved Order of Red Men. In politics he was a Democrat. He married, July 26, 1855, Maria, daughter of John and Susan (Swink) Miner; she is now living with her son John. Her parents were old residents in Fayette County, and he father was a blacksmith; his parents were John and Elizabeth Miner, who also lived in Fayette County; the family is suppose to be of German descent. (This appears to refer to John Miner Senior, thus they are g g g g great grandparents). Mrs. 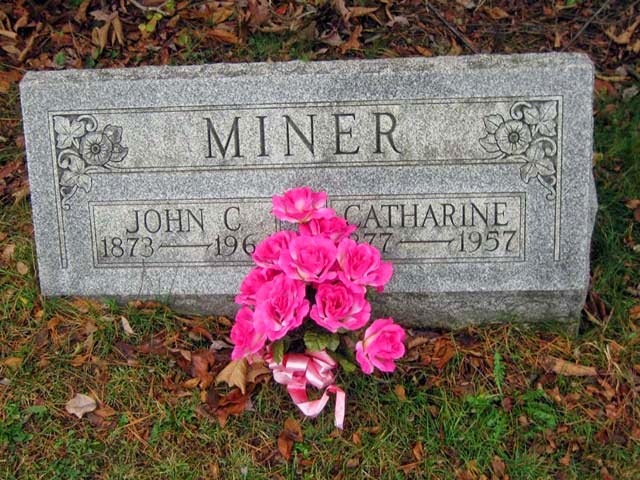 Miner was daughter of George and Kate Swink, residents of Fayette County." They appear to be g g g g great grand parents as well. Children of John and Susan (Swink) Miner: 1. Susan, lives in Bullskin township; child: Ann, married Braden Leper; they live at Connellsville, Fayette County Pennsylvania. 2. Catherine, unmarried, deceased. 3. Elizabeth, deceased; married David Rice. ; he was a farmer and stock dealer; they lived in Bullskin township except for a short residence in Kansas. 4. Nancy, married David Etling; he was a farmer, living and dying in Bullskin township. 5. Maria, married George Hatfield." So, here we have an accounting of six daughters. You will notice the George Hatfield residence closely borders what was the Adam Hatfield Mill tract that. Here it contains the Detwiler saw mill. This is hardly a coincidence. 8. Smith, born June 15, 1871; he still lives, with his mother and brother, on the farm where he was born; he attended the common school, was raised on the farm, and inherited a share of it; he is a stockholder in the Royal Brick Company..." More from me on the Brick Company at a later time. John, son of George and Maria (Miner) Hatfield, was born in Bullskin township; October 9, 1858. He still lives on the farm, and the house where he was born. He attended public school. On his father's death the farm wa inherited in equal shares by the brothers, John, George and Smith, and they still keep it intact. Here he does general farming, and is also interested in the brick works which have been erected on the farm. he is a Socialist, ( a bit shocking, from my point of view). He has not married. Could it be finding a decent Socialist girl around these parts was a tad difficult? 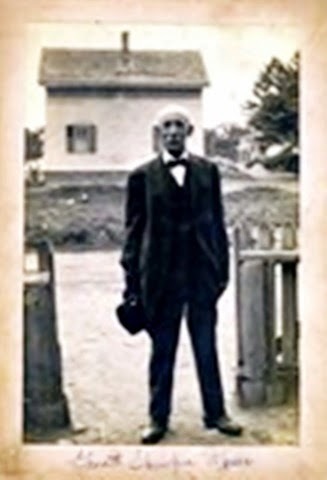 Amsi Miner, along with his father George Hatfield and George's father-in-law, John Miner are buried in Slonecker Cemetery. David Etling, who married John and Susan Miner's daughter Nancy, is also prominently buried next to them. That is what we get from this book and that is quite a bit of material to absorb. I am not aware of any relation to the Hatfield's of Connellsville or Dunbar, this is, of course a possibility. Any further information from folks that visit the website would be most appreciated and maybe I can add to your family tree at the same time. To give an example of the type of less fruitful research we can get into very easily, there was a Dr. Jacob Hatfield, Dec. 19, 1839-March 23, 1934 listed as 85 years old, but that would make him 95 years old when he died. Anyway, he lived his life in southeastern Greene County, according to pageweb.org from the US Gen Web Project. He was a son of George and Mary Richey Hatfield, (quite possibly related to those of the Pennsville, 'Richey Road' was named after. They were said to of moved there from Fayette when he was very young. A Dr. George W. Hatfield was a son said to live at Mt. Morris. Adam Hatfield also warranted for a substantial early tract of land, originally of over 300 acres, and of his survey for 200 acres, that became the Pleasant Valley Country Club. This may be the location near what was once termed, "Hatfield Corner." Eventually will be placed here the remains of deeds, the Royal Brick Works, homes and references to their farms and acreage gained by smaller amounts through the Hatfield and Miner connections to parts of this tract. 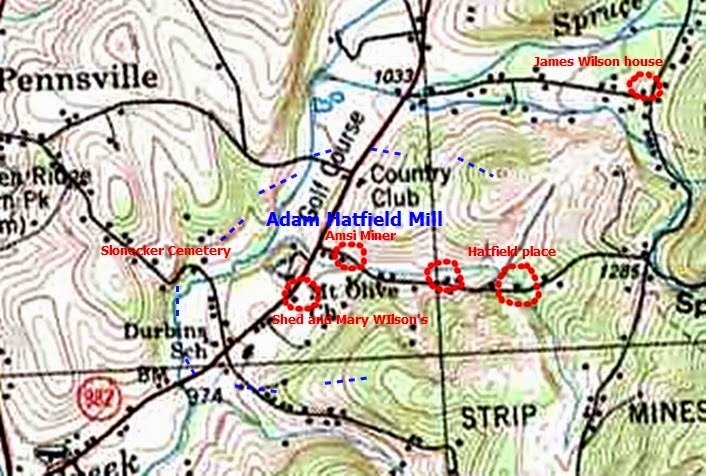 For one specific reference of the Hatfield Mill, (which became the Detweiler and Clinton Mills, and then the Pleasant Valley Country Club), according to page 494 of the same book quoted above, my apparent g g g grandfather, after an early claim of Hezekiah Lindsey, Adam Hatfield "put in a claim in 1780, receiving a patent for the land in 1795." Here the Detweilers eventually secured the place by 1826. Adam Hatfield was prominent enough to be on one of the few grand juries of Westmorerland County in those difficult and turbulent times, as referenced in "The History Of Westmoreland County, Pennsylvania" Vol.1, by John Newton Boucher. For January 1781, he qouted from the transcript of Adam Hatfield as one of the 13 selected, asked or coerced into serving. And this concerned the excusing of one David Rankin for not paying for a license for spirituous liquors for that year by the 'favor of the court'. He was also a witness for Hollis' land warranty in Tyrone township. An intriguing reference to how accurate Ellis' research was, can be briefly related. In the year 1823, Abraham Echard was listed as a shoemaker, an occupation kept up by his descendants in his family until recently, particularly as a mender of shoes, quite reasonably priced, as we recall from our youth. This was one Sam Echard, within living memory, that lived in the Kingview area of Upper Tyrone Township! 1787- Adam Hatfield and Providence Mounts as overseers of the poor; while Zachariah Connell was Supervisor of Roads. Adam Hatfield was one of the Overseers of the Poor in 1789 or 1790. 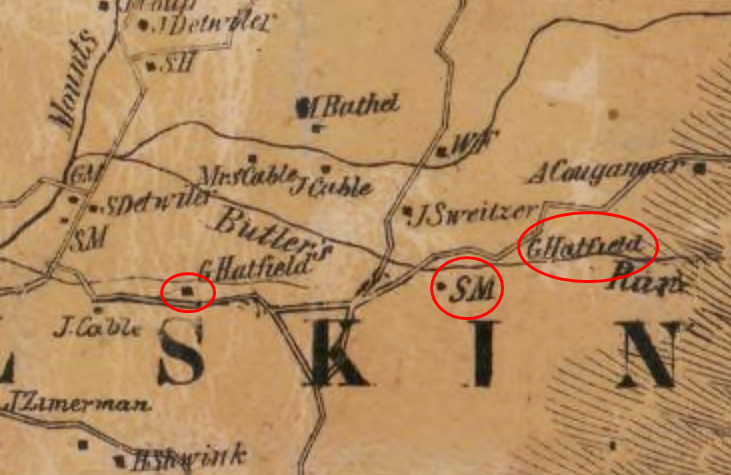 Intriguingly, so near the time to the cutting and clearing of the Turkey Foot Road from Chestnut Ridge and Laurel Hill on into Westmoreland County, Adam Hatfield was also listed as a 'supervisor of roads' for the year 1790, while John Kithcart, the owner of the Hemminger or later Spaugy Mill was a constable in 1791 and 1792 and Andrew Trapp was a supervisor of roads with Caleb Mounts, (who was arrested in the Whiskey Rebellion and taken to Philadelphia), listed in the records as the road supervisor. This really gives me food for thought. In 1845, (records were lost in between these times, as also noted by the Bullskin Historical Society), along with Abraham Pershing of Hammondville and Bridgeport; John Miner, (Jr.), was a 'justice of the peace', and again in 1850. By the way, to muddy the waters slightly with no recourse, one of his sons, apparently another g grandfather, or possibly a great uncle, would be 'J. C.' Miner. A son was Wade Miner. More on their relationship will follow. On page 495 we are told "On the John Miner place was formerly a distillery', (clear shades of possibilities in the Whiskey problem again), 'carried on by that family, and lately a steam sawmill, which has been removed." Further on the same page it relates that "On Butler Run George Hatfield', (always a thorny issue without dates as to just exactly which one we are dealing with), 'and others had small saw-mills, which have been discontinued." It is very helpful to find this saw mill on an old map. As an aside, that will become more important in the area of a 'fort' later in another article on Indians, Pennsville is given as being "about a mile east from the Tyrone line." And in 1848 Bushrod Washington, the nephew of George, putting up a house in the vicinity of the disciple's meeting-house. Here, I would add, that according to Ellis' 'History of Fayette County', "At later periods slight modifications in the boundary lines of the township were made, yet in essential features Bullskin remains the same..."
On page 486, there is a list of land owners for the 1700's and we have, along with many Connell's and Crawford's, Adam Hatfield, (again, apparently, a third or possibly a fourth great grandfather), with 338 acres; George Hatfield with 13, probably relating the same parcel left to Amsi Miner when he died; and John Miner with 25 acres; Jacob L. Wilson, a candidate for a possible relative, with 84. This is not much when you consider the huge chunks of land owned by others at this time, but it could be that careful management was more of a priority with them. This old house at Spruce Hollow Road is indicative to being connected to Amsi, (or Amzi), Miner's family, as his son John is believed to of lived there. Now, up until a few weeks ago, a very old blind relative, a cousin lived in the trailer behind there and was taken care of by his grand nieces. He died this month at what is believed to be the home of his father, J. (John), C. Miner. I am reluctant to release other information without more verification. Amsi himself was known to live in a log cabin near the old Etling farm on Swink Hill Road. I would need to see the deed to be more certain of details. Wade Miner was certainly a relative, a cousin in fact. Amsi, son of this George Hatfield who is my g g great grandfather and Rebeccah Green, my g g great grandmother, was born in 1848, lived in Pleasant Valley in Spruce Hollow and died at 87 years old on March 25, 1935 and was promptly buried in the curious old Slonecker Cemetery. He was once the Bullskin road supervisor and auditor. I would think he did a better job back then than they are said to do now a days! His first wife was Rebecca Green, (a great, great grandmother of mine). His second wife was Minerva Keffer and children, (great half cousins? ), Roy Miner of Kingview, Mrs. Mary Bush, and Mrs. Catherine Whipkey. He had two brothers, John and Smith Hatfield. Hopefully, I'll have more material on them at a later time. Roy Miner's daughter, became Mrs. Dorothy Boyd, of whom was one of my mother's close friends and I have been in much collaboration and discussion with. His wife used to be very generous with Halloween candy, and I can remember when kids would go to the door with another mask, to fool her and to garner more goodies! If I'm not mistaken, Betty King, Roy's sister, married Jesse King Sr. of whom the village of Kingview, a coal patch location near Scottdale, is named after. So, Amsi was Mary Miner Wilson's father, and her sister was Lillian Means, and brothers ,John C. Miner who died in 1964, Harry Miner and George Miner, great, great uncles and aunts or cousins, and therefore Amsi was a paternal g, g, grandfather, while Rebecca Green was my g, g, grandmother. He was said to be old fashioned and did not want to be embalmed. He was laid out in his son J. C. Miner's home for the funeral and, though he died in 1935, was buried in the old Slonecker Cemetery on Langanecher Road. I know an old Miner relative that insists the cemetery was once called 'Longanecker's', as the name of the road it is accessed from. In relation to the photo above of one George Miner, its origin is not known. One of the George Hatfield's of which I need to check into soon, was buried in Greenlich Cemetery. These two images are courtesy of Google. 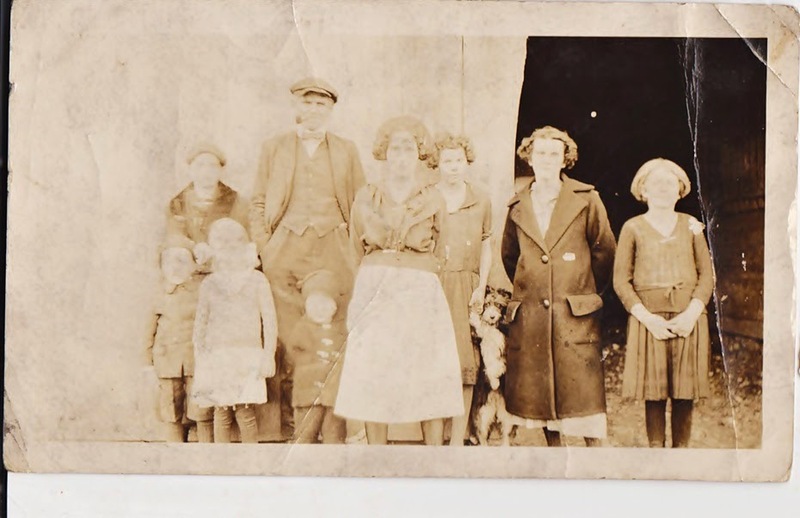 My grandfather, Merle Wilson's property, was once owned by Emanuel Mason, who was one of quite a few persons that owned what later became known locally as old 'Spaugy's Mill' before the Hixon's sold the land to the Kieffer's. The road was later renamed Keifer Road. Mason passed away in 1876 and is buried in the Fairview Community cemetery. Alexander Long owned the mill in 1880; that could well of been the last this land was a part of the Spaugy Mill tract, earlier known as Cathart's and was a large tract. After that the deed proved it would of been reduced to smaller lots. My grandfather also sold some land, once a part of 'Spaugy's Hill', for example, part of the orchard across the old Spaugy Mill Road and over northeast near to Mount's Creek. We have a J. J. Bowser under a roster of Latrobe and Ligonier recruits for 1861 of Co. 1 of the Eleventh Penn Volunteers, for three year enlistments. That is all I have on him.The same roster lists James Wilson, my great, great grandfather. This relates closely to the near ancestors of the Bowser line on my paternal grandmother's side. He was born in Germany in 1746 and died in March 1, 1814 in Pennsylvania. He was a private in the Revolutionary War in Somerset County under Captain Rodger of the Eighth Battalion. 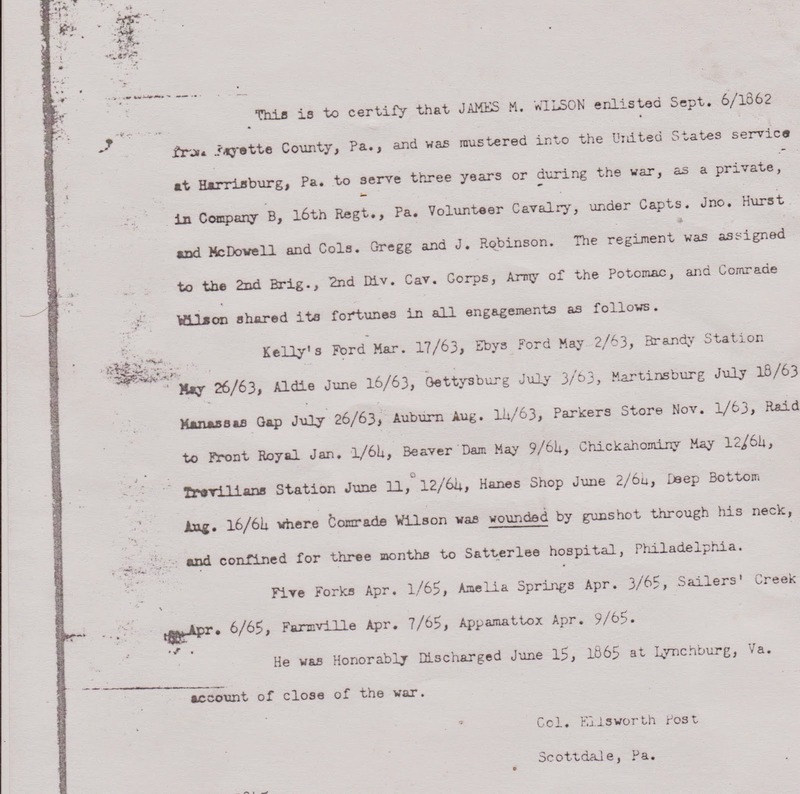 He is listed as Third Class in the Sixth Company led by Captain John Shelmire. His son was Ludwig Flick born Jan. 14, 1771 at York County and died in Somerset Jan 12, 1835. His first wife was Elizabeth Catherine Barkley. Though we seem to hear more from the DAR, Daughters of the Revolution these days, but maybe it would acceptable to claim descent as a Son of the American Revolution. Any complaints? No, it is understood this hasn't been officially augmented and would be unfair at this time without having the paperwork submitted. Still, to a certain extent, it is sufficient to possess the valued knowledge here represents whether one chooses this course of specific genealogical action or not. If you feel you have ancestors descended from such esteemed patriots, it would be advisable to check the objective of the Society and what purposes they represent. It was organized on Dec. 18.1875. The Pennsylvania Society is there to click on the link. Interestingly, many of these male descendants also fought bravely in campaigns and wars themselves down through those turbulent years of the 1800's and first half of the 20th Century and beyond. This clearly allows for a deeper meaning and personal interconnection to their lives which should be doubly relished as a vibrant, living link to our great heritage. My mother's two brothers were 'Curly' and 'Cogie' Hoover, the respective nick names of Scott and Clarence Hoover. Both of whom tragically went missing in action during World War Two. Curly himself flew 58 missions as a tail gunner and Sergeant. I hope to do some honor to their memory here, however minimal. If all info is not available HERE, then it will be updated on a separate blog. God bless them and the efforts they gave to the point of their very lives in the American cause. As could be imagined, but hardly comprehended, my grandmother was very emotionally distressed and fainted when she heard the news, especially of the second son and had lost them both, as well as my mother and her sisters, Sylvia, Ada and Goldie. She was one of the few two 'Gold Star mothers' in the area. she was a wonderful, generous woman, of the Bible Class of the Church of Christ in Scottdale, PA. Back more than 50 or 55 years ago, she was chosen to light the eternal remembrance symbolically representing the war dead at Murphy's Funeral Home, also in Scottdale. Her daughter and my special Aunt, Ada Mae who I lived with in the 1980's, was a sweet lady that usually wore pink, her favorite color. 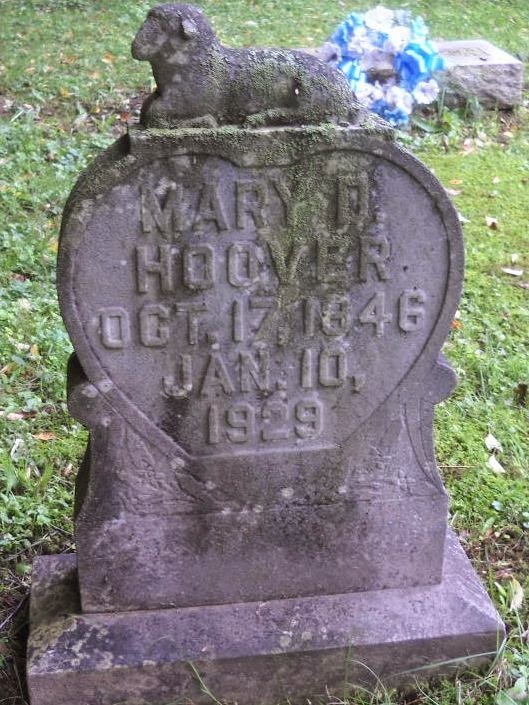 So Ida Mae Hoover, my maternal grandmother and her daughter Ada are buried in a small plot, with her other daughter, my aunt Goldie Cramer in Green Ridge Cemetery. Goldie traveled the country and had great times when young, but she had a hard life in late ages, which I won't go into, and difficult health problems, spending quite a few years at Westmoreland Manor. Ada was a great believer in old German traditions and the paranormal too, and many of her stories were breathtakingly related to us years ago and I never forgot them. 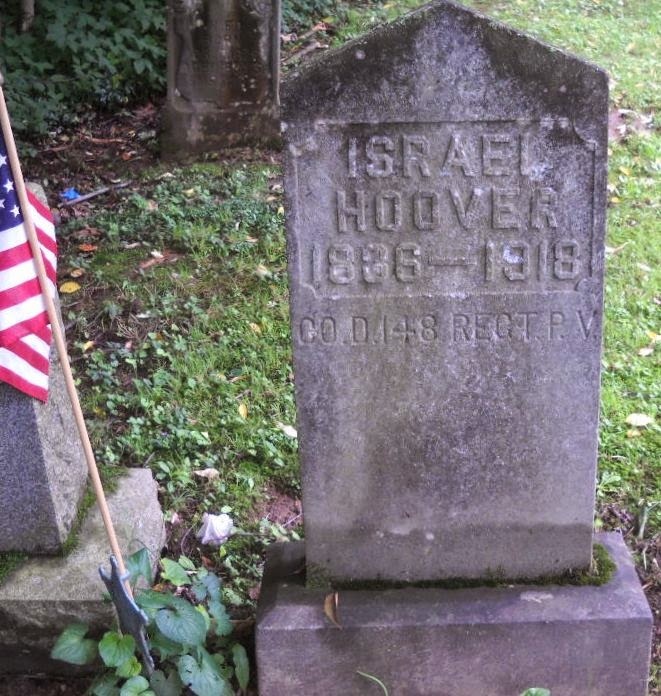 A great tradition was also recounted to us, how my grandmother would recall of her father, Israel Hoover, when years afterward, , emotionally exclaimed the memorable lines spoken in the heat of a particularly grueling battle of the Civil War, I believe it was suppose to be at Gettysburg- "Here I stand on the battlefield, live or die!" He voiced this while holding up the military issue Bible still in the family. Quite a guy, by all accounts. He lived on to raise his family in Somerset County. Later many of them moved to Fayette County, near Scottdale. I'll sure never forget hearing this from her and my Aunt Ada's lips. To be straightforward, I am not in possession of much detailed material of these last branches of my ancestors, so I will post what I can when gathered up and properly uploaded to share with others. I hope you enjoyed some facts and anecdotes about branches of my family tree. For all who find this interesting, I am soon to have a new blog, maybe I'll title it "Hatfield's and Hoovers". I will provide a link here so it won't be missed and will include the first two chapters from this website. Thank you for visiting and reading more about my relatives and ancestors. ANYONE that is remotely related to these people, please feel free to write me or leave a comment. See you next time!